Especially if you’re an athlete, and even if you’re not, strength training is a critical part of preventing injuries and maintaining a healthy body. At NYPT Health and Rehab in Midtown Manhattan’s Flatiron District of New York City, their expert staff of exercise physiologists works with you to increase strength and flexibility with 30 minutes of targeted workouts after your 30-minute physical therapy session. If you’re looking for injury prevention and recovery that incorporates manual therapy with strength training, call NYPT Health and Rehab or book an appointment online today. Strength training -- also known as resistance training -- is a valuable part of your fitness routine. Not only does strength training help you rehabilitate injured or motion-restricted parts of your body, but it helps to prevent future injuries as well.  NYPT Health and Rehab offers one-on-one strength training programs that are fully customized to your individual needs and desired outcome. This training doesn’t merely focus on a single joint or muscle but takes a holistic, whole-body approach to fitness. How does strength training work with physical therapy? At NYPT Health and Rehab, your personalized treatment plan includes 30 minutes of manual therapy with an expert physical therapist, followed by another 30 minutes of individual strength training with a certified exercise physiologist. This combination of manual and movement therapy provides optimal rehabilitative results. Exercise therapy helps increase strength and flexibility in your weakened joints or muscles and improves the way your entire body functions. Results include reduced pain and an overall increase in your sense of well-being. Besides strength training, NYPT Health and Rehab offers exercise therapy on the AlterG Anti-Gravity Treadmill. This specialized piece of fitness equipment reduces your body weight by up to 80%, allowing you to exercise in partial weight-bearing conditions. Not only is the AlterG excellent for exercise rehabilitation after an injury, but it also motivates obese patients who can instantly experience how much better they would feel if they lost weight. What should I expect from a strength training session? After your 30-minute, hands-on healing session with NYPT’s physical therapist, your certified exercise physiologist provides another 30 minutes of exercise therapy to complete your targeted recovery plan. Your exercise physiologist shows you how to safely and effectively perform each movement. They also teach you how to complete your workouts at home to maintain results. If you’re searching for a personalized injury rehab plan that incorporates advanced exercise science with expert physical therapy, call or click online to schedule an appointment with NYPT Health and Rehab today.